Join us Dec 1st for the ❅ Heralding Hope Festival! ❅ 6:30pm-9:30pm, at the Galt Museum & Archives. TICKETS: $10 – individual, $40 – family, free – children 10 and under. or by calling the office at 403-320-1159. 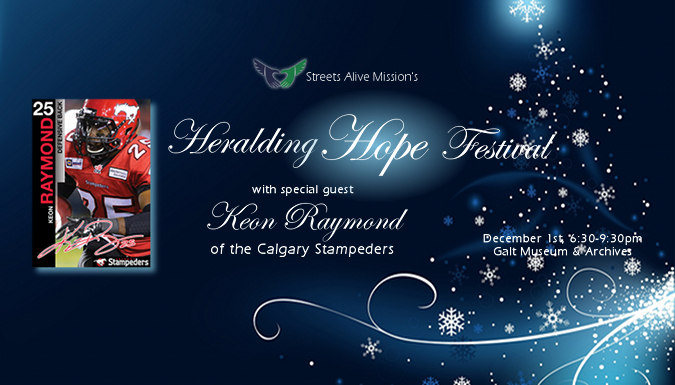 For more information, please visit the Heralding Hope Festival Event Page on Facebook or call Marie at 403-320-1159.